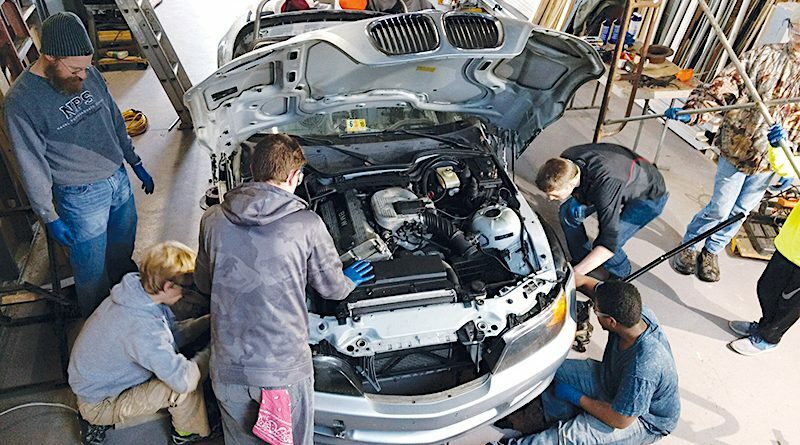 Since October, a group of about a dozen Loudoun homeschool students between the ages of 12 and 18 have been a part of NOVA Homeschool GT—a class that teaches middle and high school students about mechanical engineering and other life skills and gives them the opportunity to work on and drive a real race car. The group was started by former Lovettsville homeschool student and Virginia Tech mechanical engineering graduate Vince Loparo, 26. Although he now lives in Blacksburg and works as a mechanical engineer for Volvo Trucks,Loparo travels back to Loudoun twice a month during the school year to teach the class at his dad’s garage along Morrisonville Road near Lovettsville. 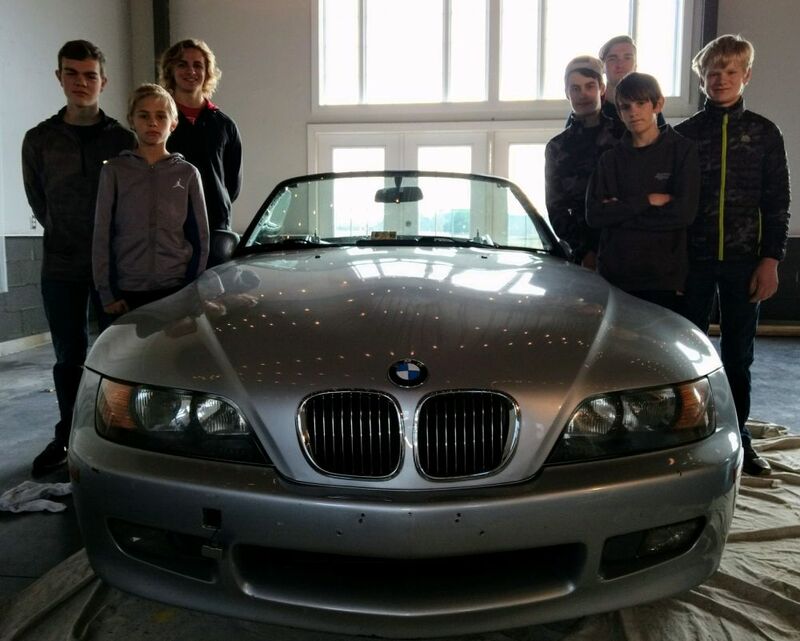 Loparo’s class begins with a simple physics lesson followed by a chance for his students to actually pick up a set of tools and work on the class’s racecar, a 1996 BMW Z3. “They have a physical model that they can put their hands on to grasp,” Loparo said. A few times out of the year, the students even enter a ChampCar Endurance Series race to compete at different racetracks across the country. In April, the class entered their car in a 14-hour endurance race at Charlotte Motor Speedway, with Loparo as the driver. Although engine trouble took their car out of the race after just nine laps, Loparo said the BMW has the potential to be one of the best cars in the series. Team member Noah Hallan, 14, said that although the team’s misfortune in Charlotte was disappointing, the overall experience was fun. “Just watching the cars come through pit road was pretty awesome,” he said. In fact, Noah and his dad, Jessie, worked on pit road during the race. Jessie Hallan said that it was this experience that gave the duo an inside look at how the series functions. “I think it’s really good that they’re learning that it takes a little more than book knowledge to actually understand how all the stuff works,” he said. 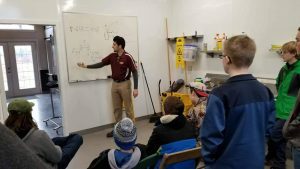 Vince Loparo teaches physics to a group of middle and high school students during a Saturday NOVA Homeschool GT class session. The class is now eyeing an Oct. 6 appearance at the Pittsburgh International Race Complex for a 15-hour endurance race spread across two days. Loparo said that through preparing their trips to the racetrack, his students also learn the ins and outs of operational planning and logistics. He said they even learn about marketing, since they are solely responsible for obtaining the team’s sponsorship. In addition to teaching the class every other weekend, Loparo this year launched the Education Endurance Challenge, an organization that aims to build a curriculum based on hands-on learning, professional skill development and industry experience to guide future student race teams as they build their race cars and head to the track. Already, the organization includes multiple student teams from across the country. One of those is The Chandler School in South Carolina—a middle school for children with dyslexia and other language-based learning differences. Loparo’s mission to be a part of the racing world came to him at a young age when he first watched, and was captivated by, an American Le Mans Series race. Realizing that there could be a chance he might not make it as a professional driver, Loparo decided to find a way to stay involved in motorsports for a lifetime by going to school for mechanical engineering, which gave him another racing-related option to fall back on. In 2013, while studying at Virginia Tech, Loparo started the Virginia Tech Grand Touring Team, which continues as a senior design capstone project for mechanical engineering students. It was working with that team when Loparo first understood what it was like to compete in the ChampCar Endurance Series alongside his student colleagues. “You’re out in the real world comparing the work you did against a professional,” he said. NOVA Homeschool GT is now welcoming new students for the upcoming school year. Loparo said the class is all-inclusive and accepts not just homeschool students, but also those enrolled in both public and private schools. 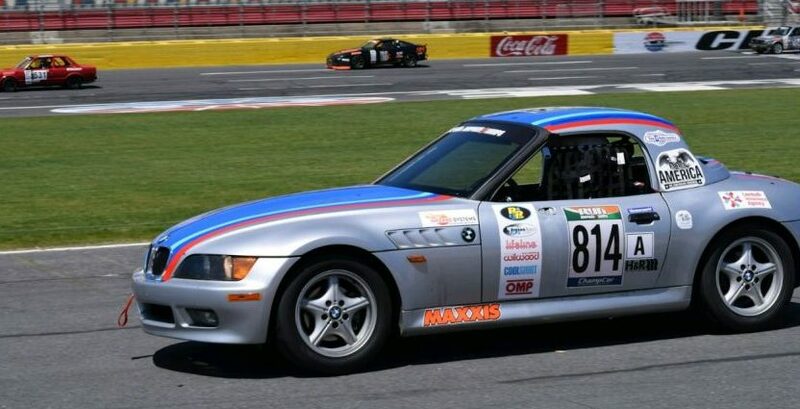 Vince Loparo drives the NOVA Homeschool GT’s 1996 BMW Z3 down pit road at Charlotte Motor Speedway during a 14-hour ChampCar Endurance Series race in April.